Baby Café by Angelababy opened its doors in November 2011, and I hadn't tried it out until this last Friday! Unbelievable, I know. Angelababy is a Hong Kong-based Chinese model, actress and singer born in Shanghai in 1989. She is without any doubt one of the most beautiful Chinese women, and a very inspiring one, too! I like that she partnered with Sushi One group to create Baby Café in Hong Kong. 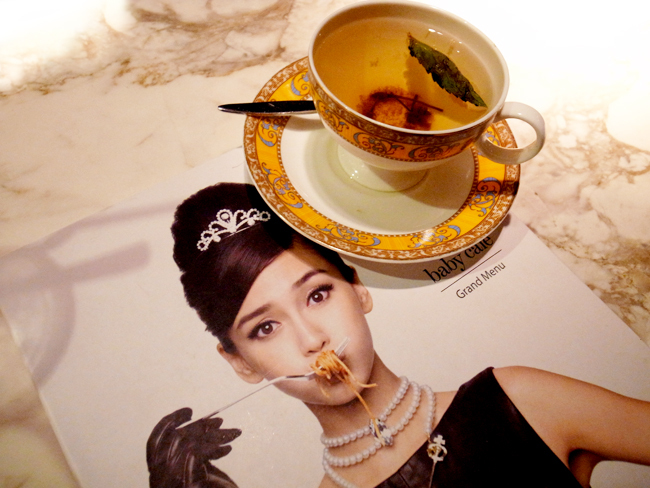 Given Angelababy's popularity in the city, this project was an immediate success. You can expect to queue up for a while during peak dining hours! The food was nice enough, there is no à la carte, but only a dinner set with around 16 main dishes to choose from and which is served with a soup or salad and a drink. The best thing of the restaurant was the decor, I LOVED IT! 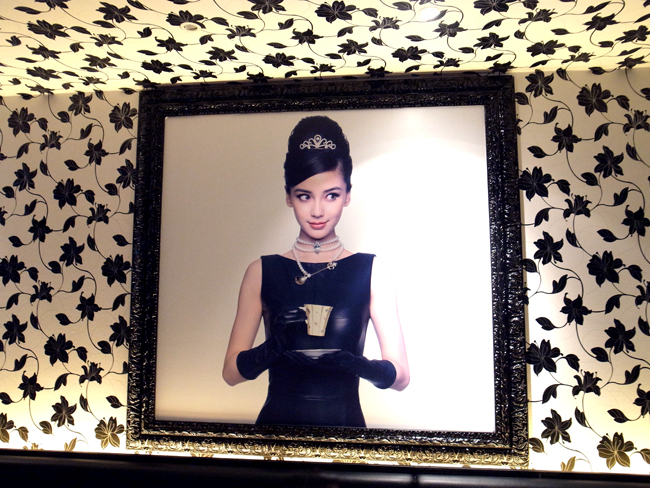 It is so chic and elegant, plus with lots of pictures from Angelababy hanging on the wall, I thought it was really pretty! All in all don't expect Michelin starred food, but rather a nice Western-Japanese fusion dinner in a cozy atmosphere and a good price. 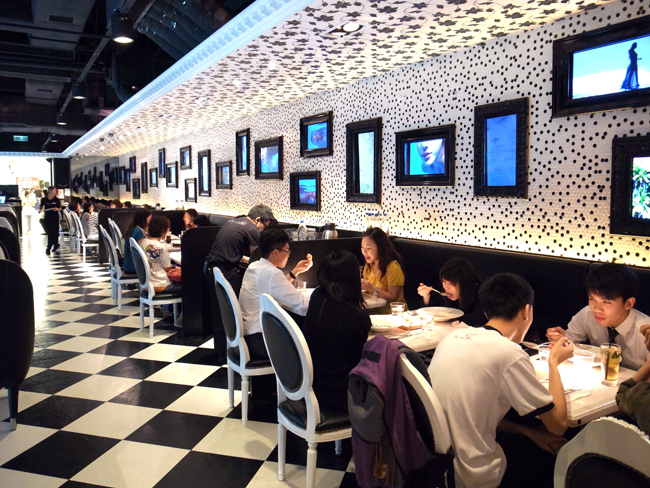 Baby Café has three restaurants, one in Mong Kok, one in TST and a new one in Tuen Mun. There used to be one in Causeway Bay but it is closed now. This review is from the TST branch, in iSquare. Would I recommend it? If you're in Hong Kong just for a few days, there's better restaurants to try out, but if you live in Hong Kong, then sure, it's a nice place!